‘I cannot pin-point the first time I heard about Prof Tim Noakes. His has been a household name for many years and was always mentioned with a tone of respect and admiration, both in my home as well as the homes of fellow South Africans. Considering all of Prof Noakes’ achievements, it’s not surprising. Prof Noakes has published more than 750 scientific books and articles. He has been cited more than 16 000 times in scientific literature (with an H-index of 71). Prof Noakes is also rated an A1 scientist by the National Research Foundation of South Africa (meaning that he is unequivocally recognised by his peers as a leading international scholar). Having recently completed my dietetics degree and community service year when Prof Noakes first announced that he was withdrawing decades of previous dietary advice in favour of a low-carbohydrate high-fat (LCHF) diet, I was shocked and mildly appalled. He seemed to be advocating a potentially dangerous fad diet suspiciously similar to the Atkins diet – a direct contradiction to the SA Food Based Dietary Guidelines, which recommend that starches, including whole grains, pasta, bread and potatoes, form the cornerstone of a healthy diet. Prof Noakes was claiming that carbohydrates, not fat, were responsible for the global obesity epidemic and related conditions (heart disease and diabetes), and that by replacing much of the carbohydrates with fat, we’d shed kilos, feel less hungry, healthier and even run faster. To make matters worse, conventional dietary wisdom suggested that the amount of fat that Prof Noakes recommended was a heart disease and obesity disaster just waiting to happen. As a dietitian and nutrition writer and nutrition editor for a health magazine, I began investigating this topical and controversial diet. I was amazed to find a surprising amount of literature, as well as books written by respected clinicians and scientists, suggesting that a LCHF diet may not only be beneficial, but possibly even superior to a conventional high carbohydrate diet for those with insulin resistant conditions (e.g. pre-diabetes, Polycystic ovarian syndrome, Metabolic Syndrome, type 2 Diabetes) and obesity. So, early in 2013, I was delighted to have an opportunity to hear one of Prof Noakes’ lectures on the topic in person, and have him answer many of the pressing questions I had accrued. I found Prof Noakes to be a charismatic personality and speaker. In addition he managed to combine his exemplary understanding of the science with an ability to translate difficult concepts into words and diagrams that the average person can understand. He answered my questions and left me asking many more, which I set to researching at once. Perhaps most surprising to me was the kind and unassuming demeanour of this accomplished man. I would later learn that the respectful and keen way in which he listened to, considered and answered the questions of each person that day, is a hallmark of the Prof. His impressive memory for names and interest in individuals is also indicative of the respect he has for his fellow man. Prof Noakes also has the rare ability to see the potential within people and believe the best in them, thereby driving them to perform. 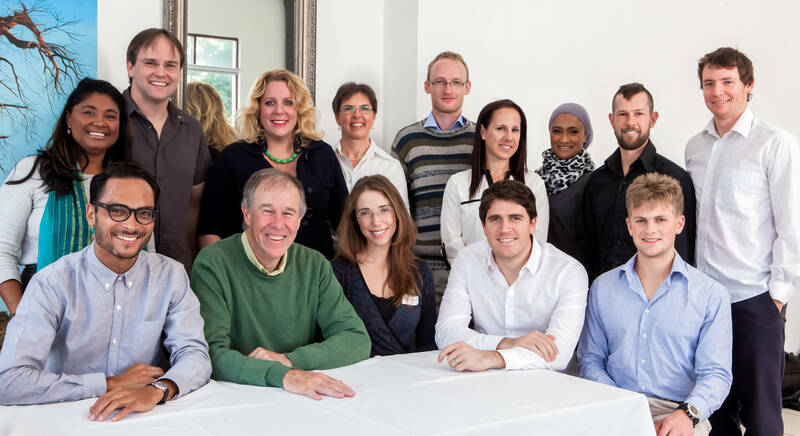 On a larger scale, Prof Noakes’ humanitarian spirit is embodied in the Sports Science Institute of South Africa (SSISA), the research he chooses to conduct, and more recently, in The Noakes Foundation. Prof Noakes and Morné du Plessis built SSISA to fund research in sports performance for the altruistic purposes of improving sports performance, garnering public interest in the country’s top sports people and building national pride. His research and initiatives (such as the LCHF intervention in Ocean View) are directed at making a real difference to the health and performance of all South Africans. Most recently, Prof Noakes set up the non-profit corporation, The Noakes Foundation, “to advance medical science’s understanding of the benefits of a low-carb high-fat (LCHF) diet by providing evidence-based information on optimum nutrition that is free from commercial agenda”. All proceeds from Prof Noakes’s best-selling Real Meal Revolution books go to The Noakes Foundation research. Looking back over Prof Noakes’ career, it’s clear that his research findings have often been cutting edge and thus controversial. It seems as though he has the unusual ability to see a problem through a different lens to most. He uses his unique perspective to put the puzzle pieces together in a way that no one expected – constructing a picture that makes far more sense than the alternative hypothesis allowed.